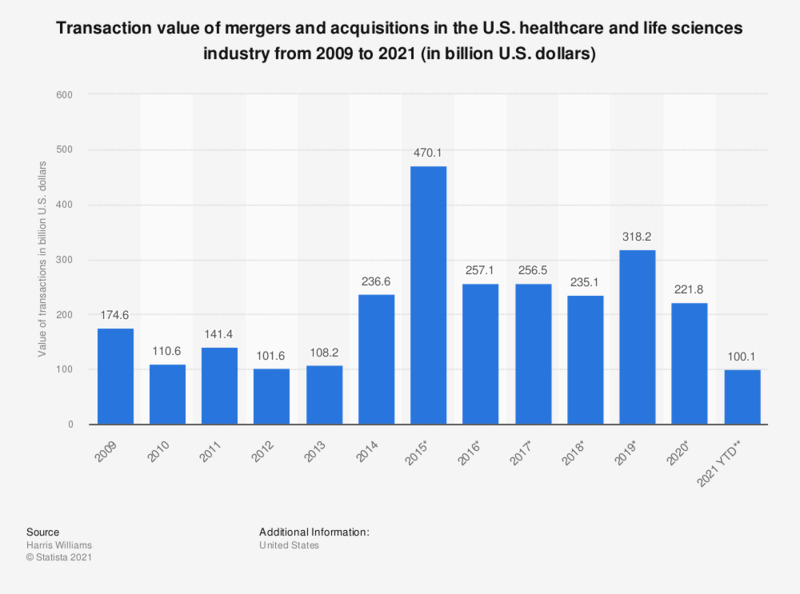 This statistic shows the value of merger and acquisition transactions in the United States healthcare and life sciences industry from 2009 to 2019 YTD. In 2016, aggregate transactions totaled some 278 billion U.S. dollars. M&A transactions provide investors with an exit strategy from smaller and private companies. These companies can also gain a broader market, revenue growth, and sale resources through its new larger management company. This statistic was assembled from several of Harris Williams' industry updates.